We assist students to make use of resources, help in homework and working on assignments, guide in project work, guide in Internal and External Assessment of IB Theory of knowledge as well as English Language and Literature. The student/s can query, discuss, clarify and learn one to one in the virtual classroom. The experienced and expert guidance help the students enjoy the learning. We develop our own material and planning schedule according to the needs and demands of the learners and their feasibility of time and pace of understanding. We believe in quality coaching and as a result many of our students come through referral. Avail the cost advantage of sourcing the services from a relatively cost competitive geography. Online communication arrangement, preferably Skype. In occasions, Google Talk is also used. 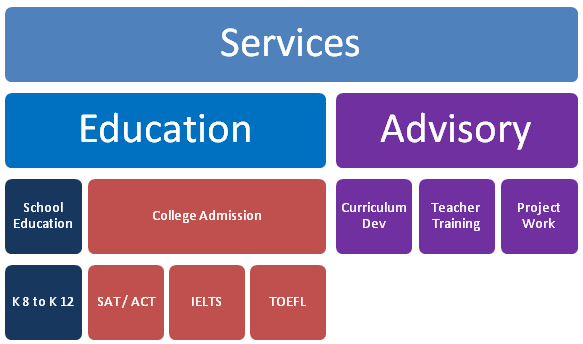 We also offer advisory services to educational institutions. Select the best you are looking for!